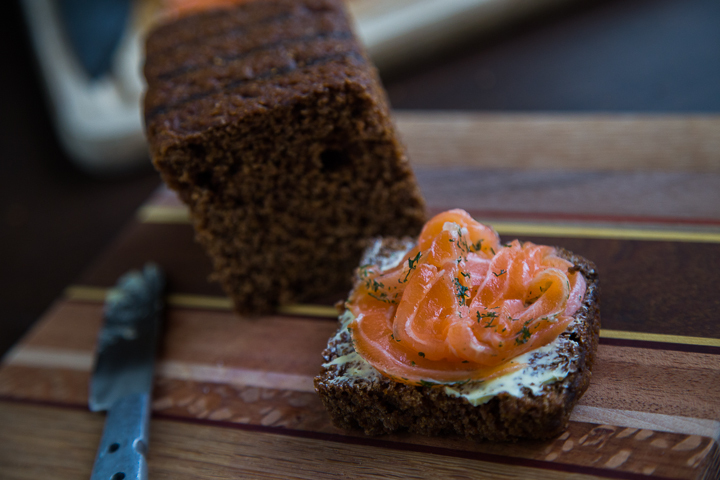 Rúgbrauð (rye bread), cured fish, and pure butter--in Iceland, this was the trifecta of sustenance. 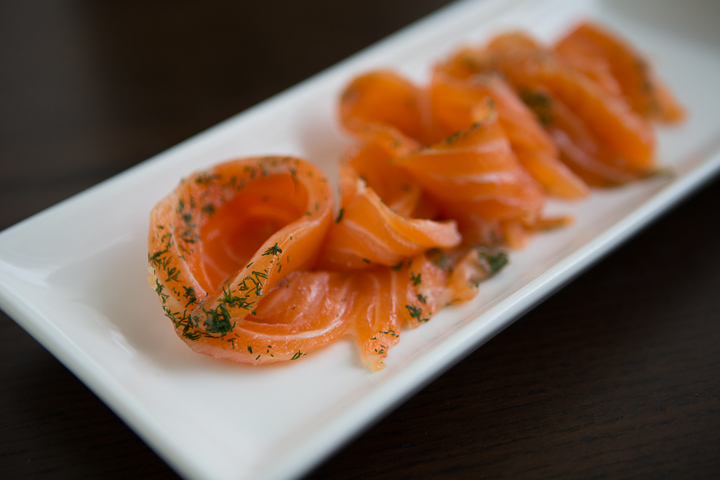 From convenience stores to upscale eateries, we could find them just about anywhere. Every morning during our vacation, we clomped down the stairs of our hotel and piled our plates with thin, brown rye bread triangles and cold mustard-marinated herring. 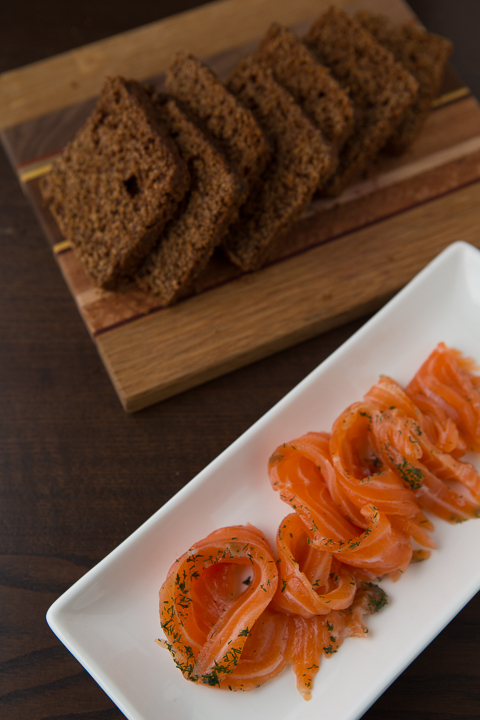 Our first dinner included open-faced rye sandwiches smeared thickly with butter and topped with various cured fishes. 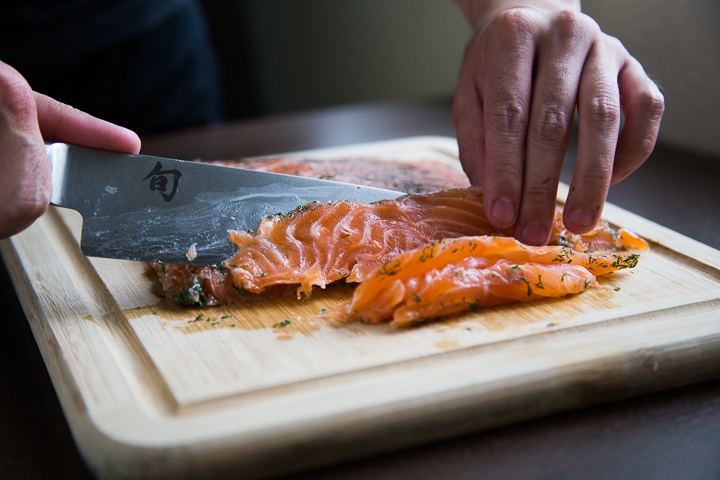 In a small hot spring village, we filled up on three types of lox at an excellent lunch buffet and tasted rye bread that was freshly unearthed from being baked under the ground for the past twelve hours. When on the road with nothing to eat for miles, we were glad that we had a hunk of day-old rye and some tuna salad from the bakari. On our last day out, we supplemented gas station asparagus soup and bread (and butter) with a thick slab of cured Arctic char, blanketed densely in dill, sealed and sold as bologna would be marketed here in the U.S.
We may not be hiking through the snow or visiting giant waterfalls anymore, but we tried to relive a little bit of the trip by way of eating (one of the best ways). 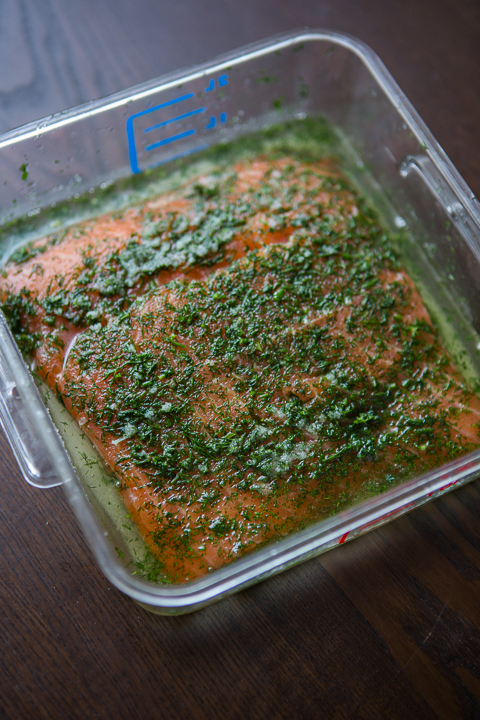 Wes made lox when we got back using just a regular ole Costco salmon filet and a bunch of dill. It's funny how even a simple gas station meal out there could inspire us now, hundreds of miles away. 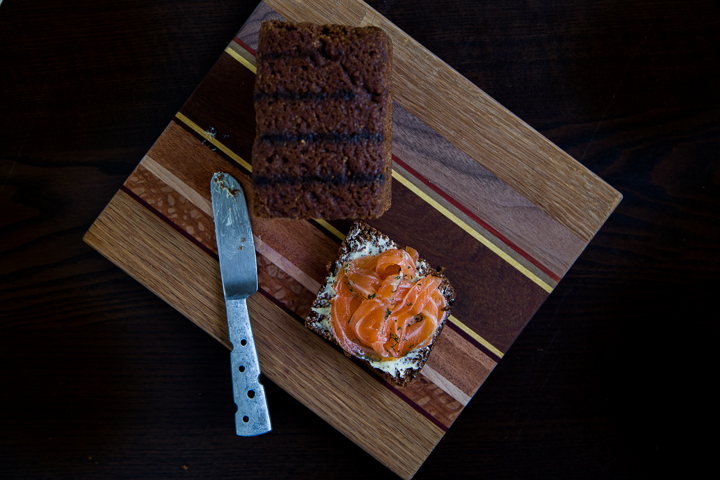 We brought back two small loaves of rúgbrauð--a last-minute impulse buy that we did not regret at all. 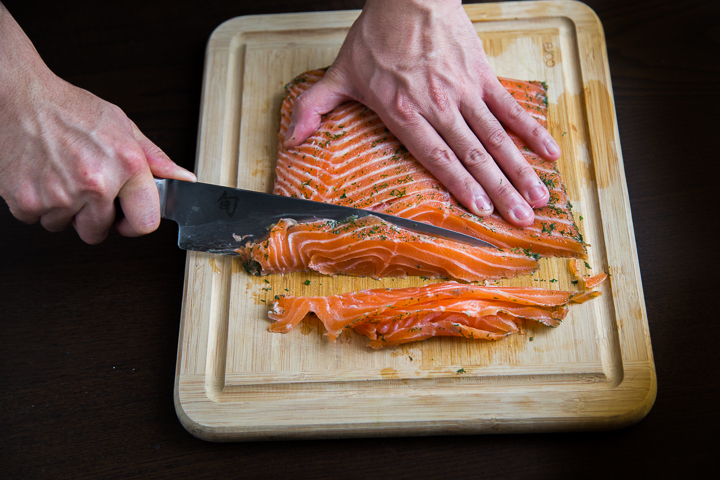 It was so worth it to carry those dark bricks all the way home; when paired with butter and lox, it took us straight back to vacation. 1. 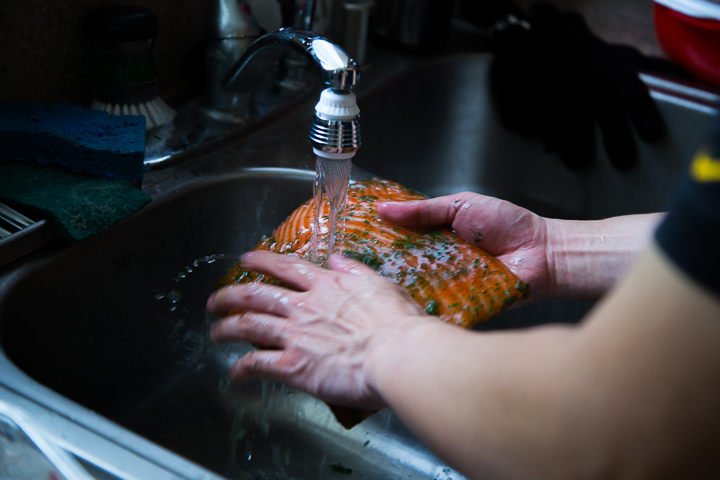 Wash off the salmon, pat dry. 2. 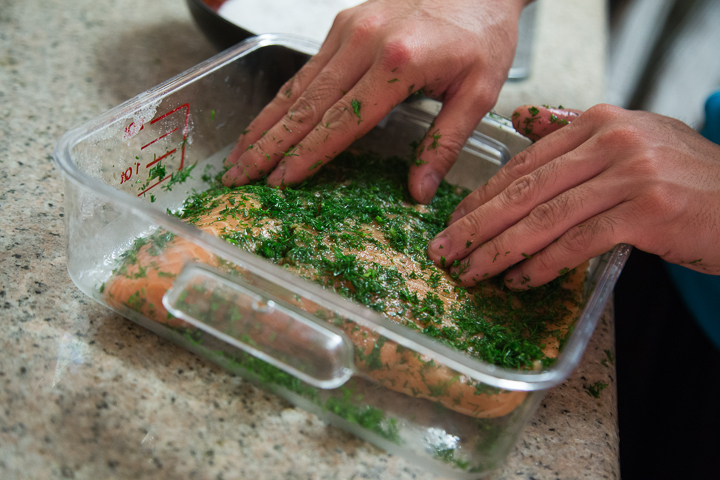 Spread the dill all over the salmon, massaging it in. 3. Sift to combine the salt with the sugar. 4. 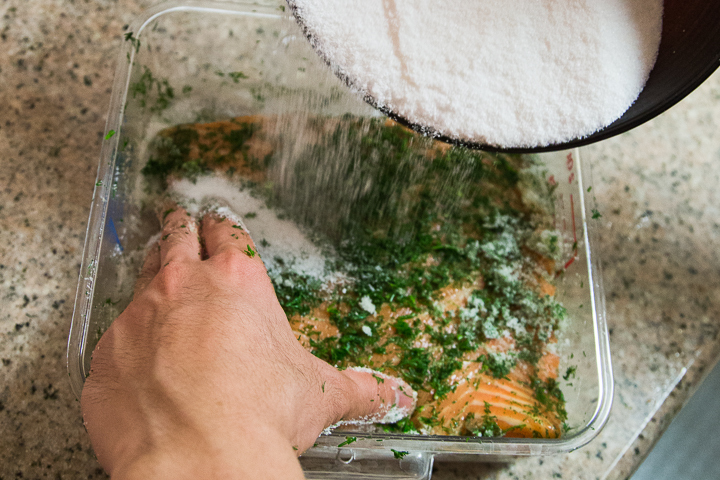 In a shallow container, pour half of the salt and sugar mixture over the salmon and then turn over the salmon and pour in the other half, coating it completely. 5. 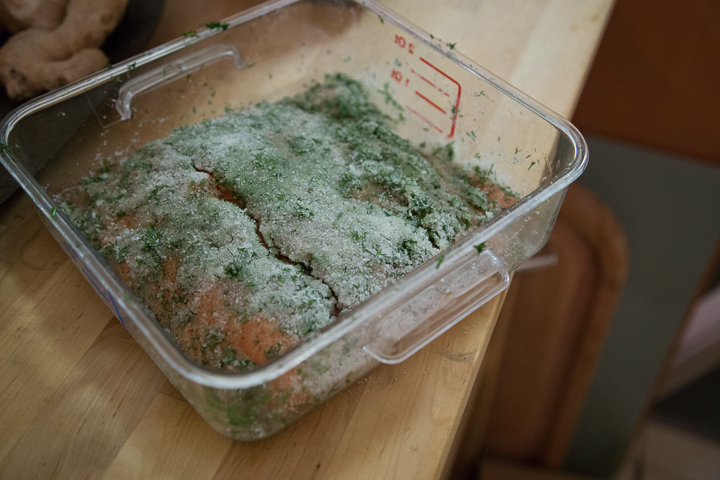 Cover with saran wrap or airtight lid and refrigerate for 12-24 hours, the longer it is, the saltier. Ours was around 12 hours and we thought it was salty enough. 6. 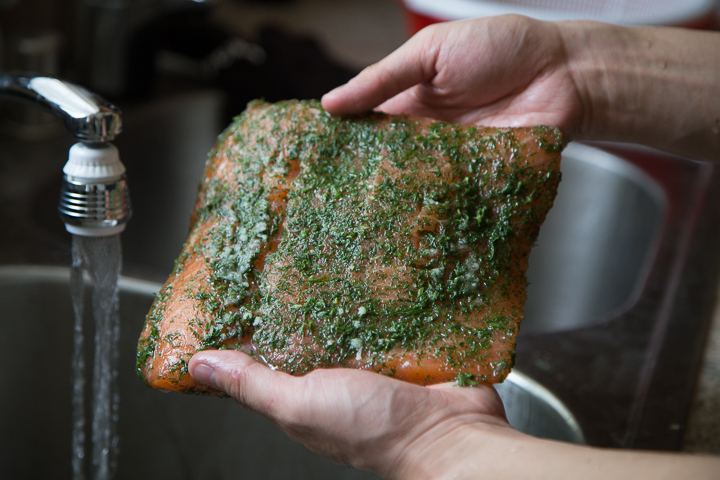 Wash off the salt/sugar crust on the filet under running water. 7. 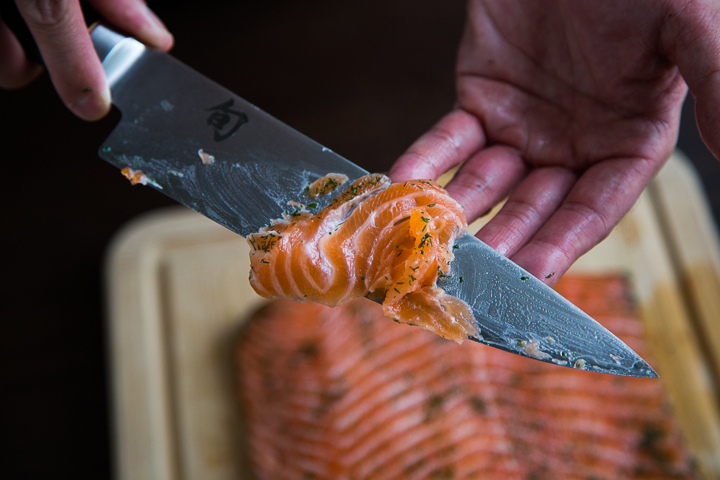 Slice thinly and serve with rye bread and lots of butter! Soon we're going to have to figure out how to make rúgbrauð! 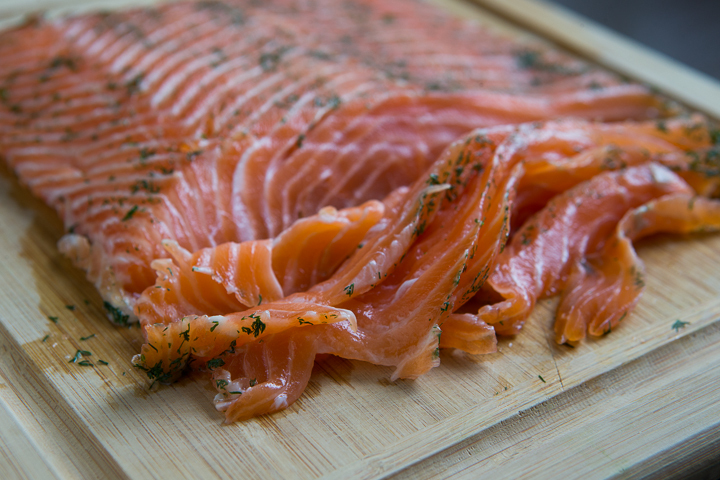 Just got back from Scandinavia and didn't like the herring AT ALL but the lox ... oh man, the lox. I'm so glad you guys have this recipe so I can make this!